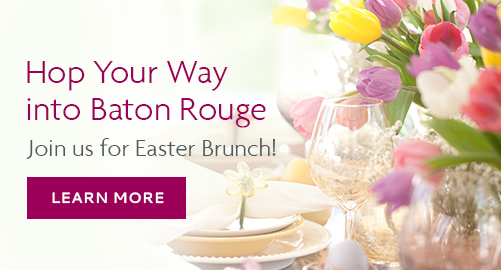 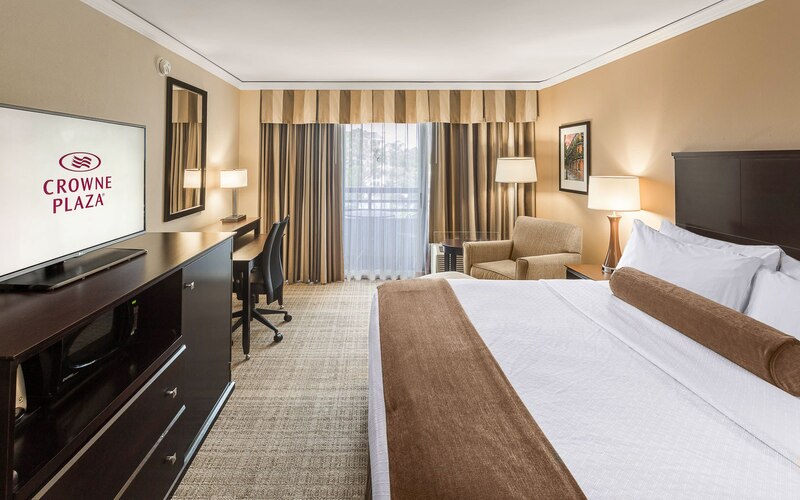 Each of our 294 guest rooms and suites is a restful retreat just minutes from downtown Baton Rouge and Louisiana State University, and an easy one-hour drive from New Orleans and Lafayette. 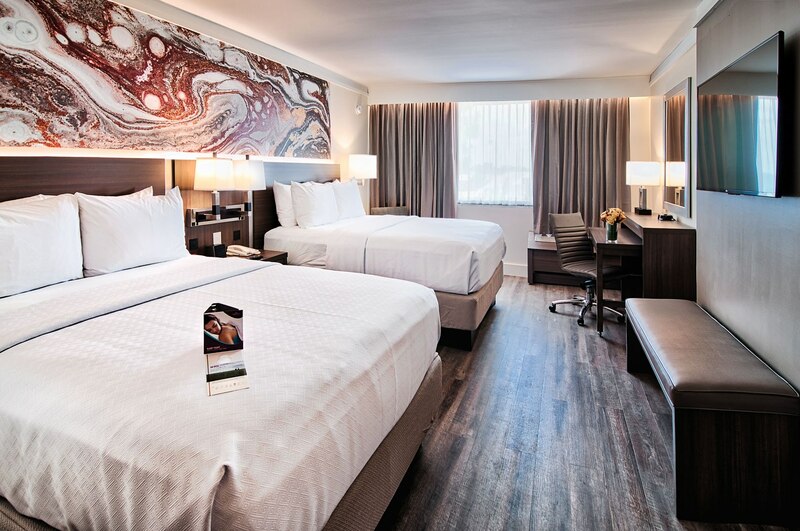 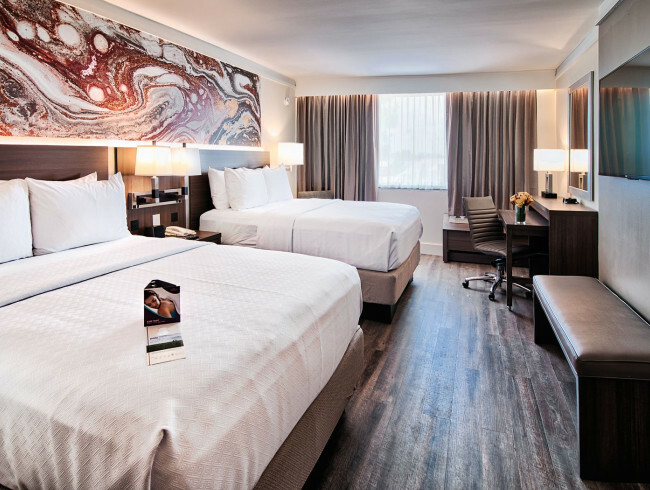 Attractively furnished in warm neutrals, our accommodations offer all the essentials for a comfortable stay, including free WiFi, premium bedding, and spacious bathrooms featuring natural stone. 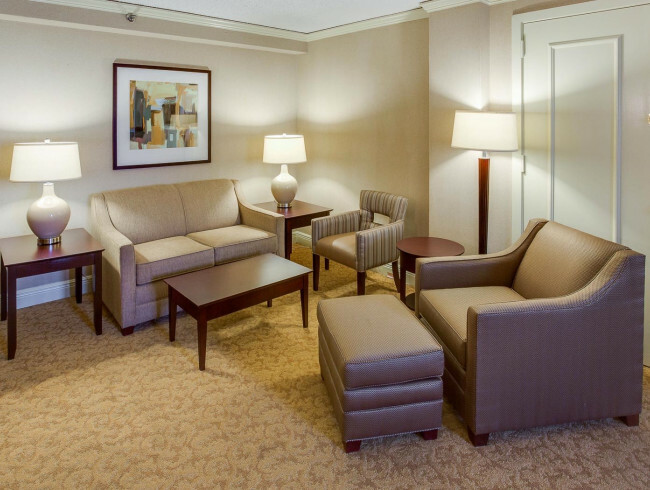 Our Executive Level accommodations offer access to the Concierge Club Lounge, where guests enjoy continental breakfast and late afternoon cocktails and hors d’oeuvres. 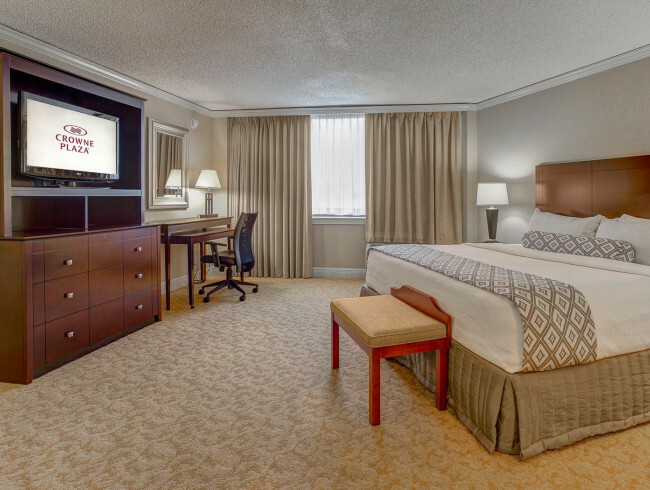 Featuring either one king or two queen beds, our Standard Rooms are the perfect fit for business trips or weekend getaways. 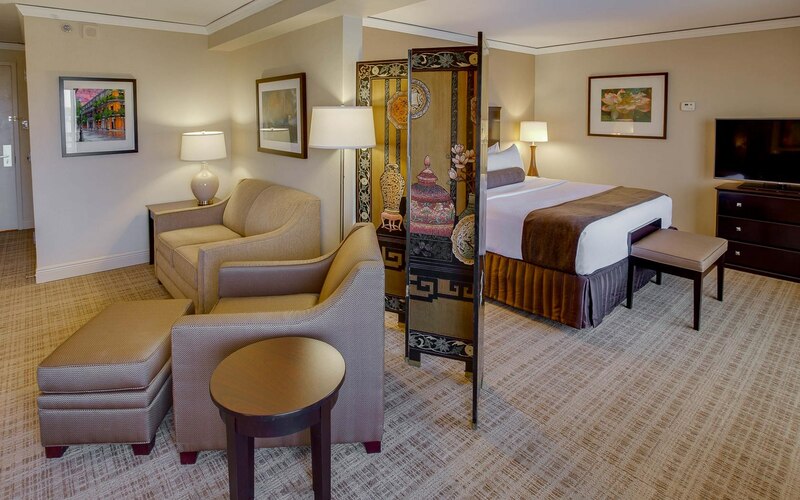 These rooms are attractively decorated with modern furnishings, including warm wood headboards, premium bedding, and upholstered armchair with ottoman. 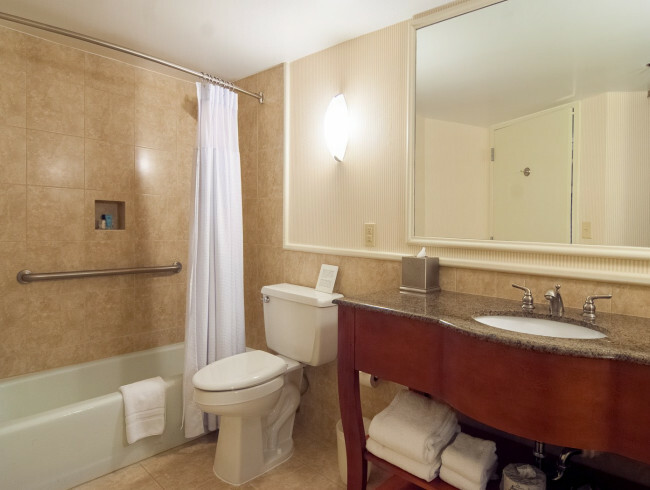 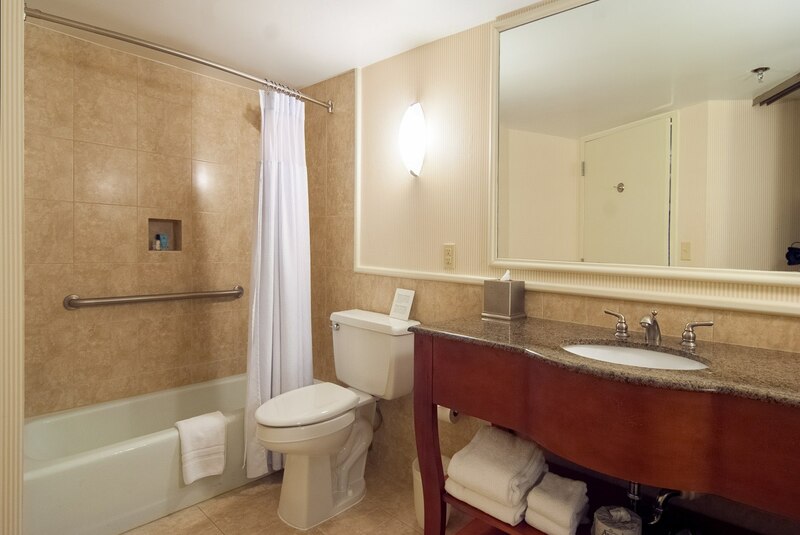 Standard rooms are also available as ADA accessible rooms. 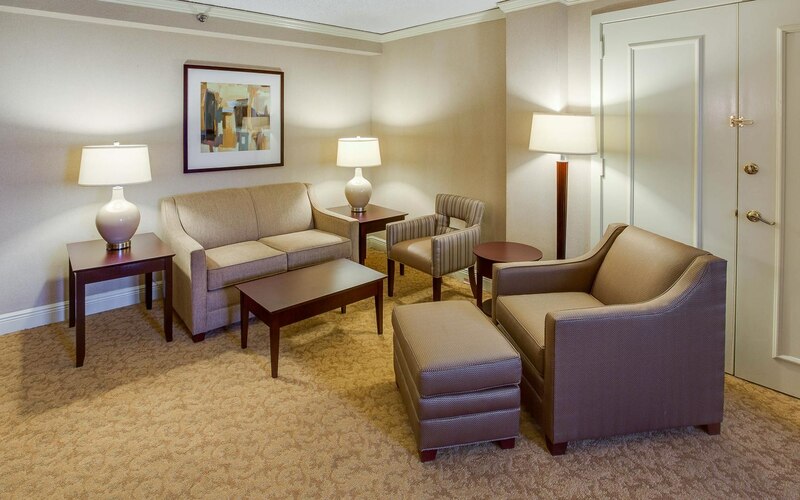 Ideal for corporate travelers, our spacious Concierge Rooms feature either one king or two queen beds, a work desk and chair, and a cozy upholstered armchair with ottoman. 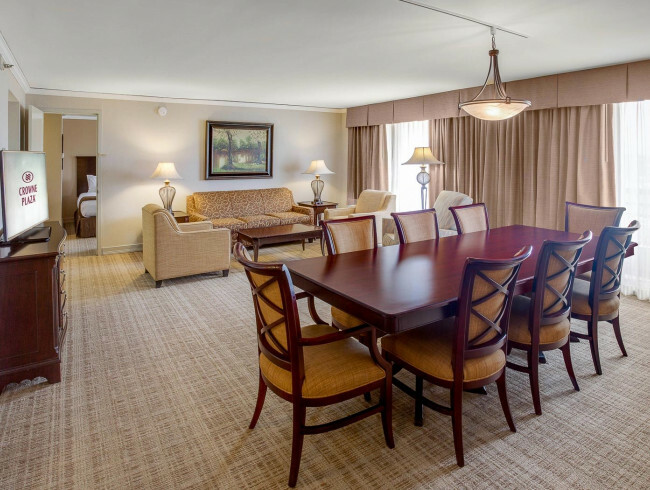 Well-suited for extended stays, our stylish Junior Suites have a king bed with warm wood headboard, upholstered bench at the foot of the bed, and work desk, as well as a separate sitting area with seating for four. 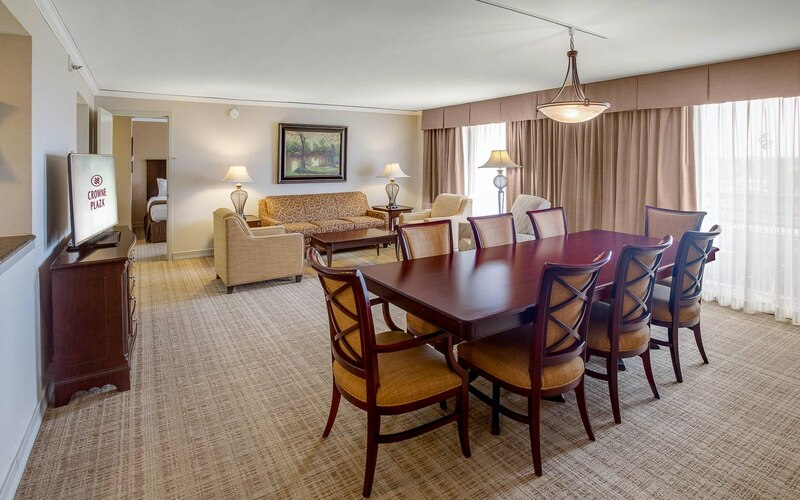 Perfect for private entertaining and business meetings, our contemporary Parlor Suites have a separate living and dining area to meet the needs of corporate travelers or families seeking extra space. 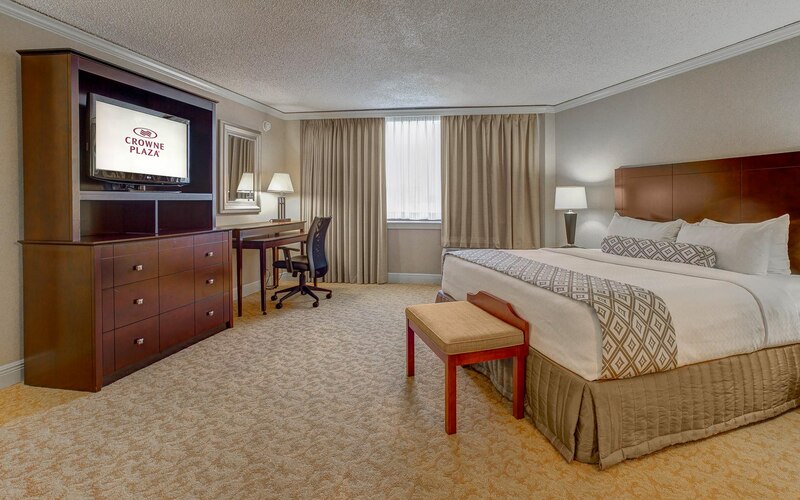 A separate guest room is furnished with a king bed. 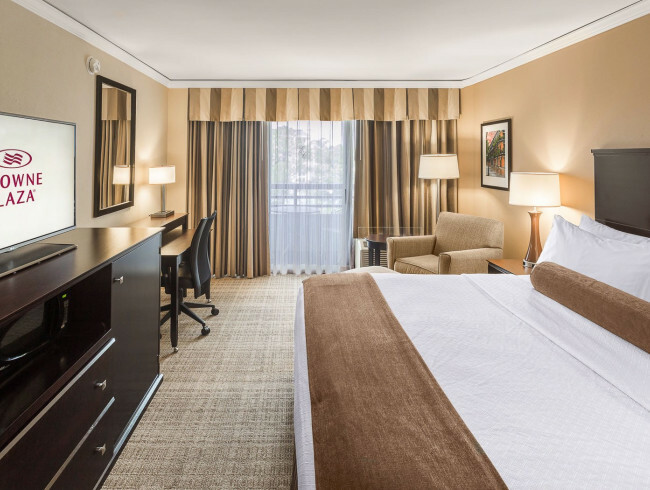 Located in the hotel’s designated Quiet Zone, our sophisticated king-bedded Executive Suites offer the ultimate in comfort and privacy. 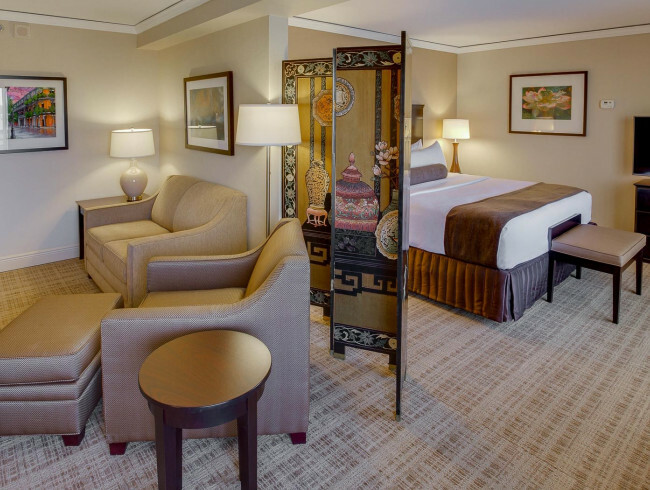 Attractively decorated with modern upholstered furnishings, they have living and sleeping areas separated by a decorated screen.